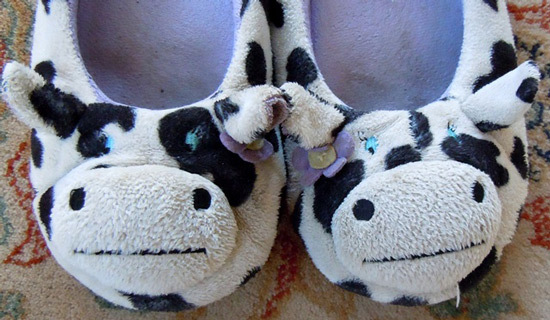 I’d like to start today’s post by thanking one of my faithful readers, Pseu at Pseu’s Blog, for sharing a photo of her cow slippers after reading yesterday’s post on.. cow slippers! I thought nobody bought cow slippers, but Pseu proved me wrong. Look how cute her own cow slippers are. 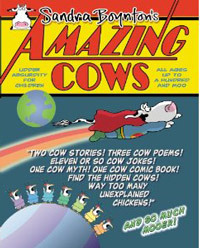 Blue eyed cows, nonetheless! Tonight the boys watched a few episodes of Curious George and one of them was called “Curious George Stain Remover”. In this episode, George tries to clean up a juice stain on a rug and ends up flooding the whole house. 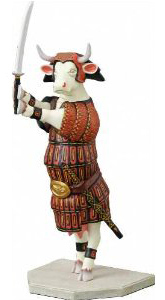 He borrows a water pump from the farmer neighbor but needs help carry it back to the house, so the cow helps out. 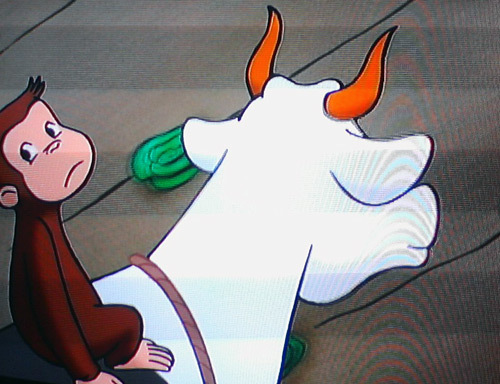 And here’s Curious George getting a ride on the cow! 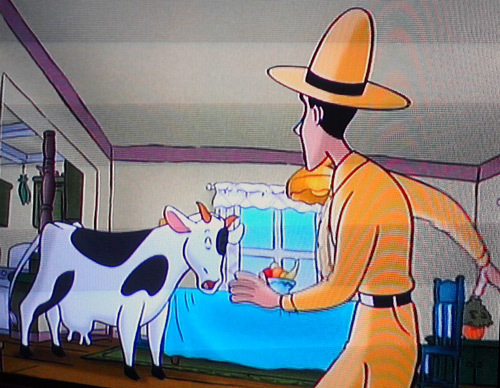 I’m not sure who’s more surprised, the cow or the man in the yellow hat! Hey mister, has anyone ever told you how silly you look with that giant yellow hat on your head? Previous Post It’s beginning to look a lot like Christmas #4: cow slippers, anyone? My boys gave me those slippers, last Christmas! Yesterday I braved putting them through the wash and they have come up moo-tifully clean! I’m glad to hear they survived the wash! Haha, what a funny typo! 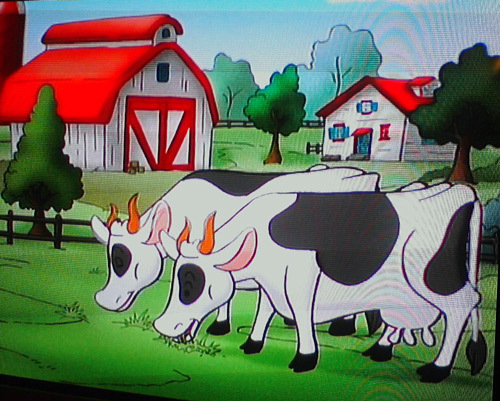 Hmmm, I wonder if they make cow clippers… This is the closest I found, cattle clippers!